Gor Mahia coach Bobby Williamson returned to the country on Friday after attending burial of his mother in native Scotland. According to club website, the Scott landed safely at Jomo Kenyatta International Airport aboard a British Airways flight on Friday at 21:10pm and was received by club Secretary General Chris Omondi. Williamson has been away on compassionate leave since Friday May 23, 2014 and missed Gor Mahia’s KPL Top 8 semi-final first leg match against Tusker last Sunday which K’Ogalo lost 1-0 at Meru County’s Kinoru Stadium. He is however, very upbeat about the Top 8 return leg match scheduled for Wednesday June 4, 2014 and the upcoming ‘Mashemeji derby’ against rivals AFC Leopards. “Coach Williamson is back and we thank the Almighty for guiding him and family through the past week. He is very positive about the upcoming Top 8 semi-final return leg match and the league derby”. In his absence, Team Manager Frank Ouna was in-charge of the team assisted by Iddi Salim the goalkeeping coach. Ouna will however, still stand-in for assistant coach John Bobby Ogolla, who is still recovering from kidney illness. David Owino “Calabar” also popularly known as “Jashirati, was the only Gor Mahia player in action as Kenya took on Comoros on Friday afternoon. Musa Mohamed started on the bench. Neither Jerim Onyango nor Anthony Akumu saw action. Akumu’s lack of action is particularly shocking considering the fact that he seems to play his best football at Harambee stars. At the last CECAFA tournament which was held in Kenya, one could make the argument that Akumu was one of the best players in the tournament. But coach Amrouche appears to be going with an attacking formation with only one defensive midfielder (Victor Wanyama). This leaves McDonald Mariga on the bench once again. Calabar has proven to be a solid defender and a reliable scorer for both club and national team. Against Comoros in the first league, he almost scored but his brilliant header from a corner went inches over the bar. Former Gor Mahia winger Edwin Lavatsa started. With Dennis Oliech missing, This was his chance to stamp his name in Amrouche’s good graces for the remainder of the qualifiers. The game ended 1-1 for a 2-1 aggregate win in favour of Kenya. The all important goal for Kenya came from Belgium based Ayub Timbe. So both of Kenya’s goals against Comoros were scored by Belgium based players. Starting XI; Arnold Origi, Abud Omar, David Owino, David Ochieng, Lawrence Olum, Victor Wanyama (CPT), Ayub Timbe, Johanna Omolo,Francis Kahata, Allan Wanga and Edwin Lavatsa. Subs; Wilson Oburu, James Situma, Musa Mohammed, Joackins Atudo, Clifton Miheso, Jacob Keli and McDonald Mariga. Kenyan Premier League (KPL) side Gor Mahia is still awaiting the World Football governing body FIFA to response regarding the Patrick Oboya transfer issue. FIFA had written to the club requesting to be furnished with details of his transfer and according to Assistant Secretary General Ronald Ngala, they did so but are yet to get feedback. Oboya hasn’t featured for Gor Mahia since the issue arose but has still been training with the team consistently. -This however does not mean that we are guilty as a club. We just want to be careful, he added. Oboya previously played for Tusker FC and AFC Leopards locally before joining FK Banik Most in 2007 (then known as Siad Most). He was loaned out to FK Fotbal Trinec in 2011 and later joined MFK Ruzomberok. An advertisement that really stood out in the past week is the one touting the re launch of Nation FM from Easy FM. As a certified advert addict this one could not escape my eyes more so because it had my beloved Gor Mahia as the subject. In that advert, two men are seated on a bench presumably at a public park. The first man says: Waah! Imagine what will happen when the taxman closes Gor Mahia because of taxes. This is a brilliant advert by any standards and the copy writer must be commended. However, the writer erred in the small matter of a junior club because we already have one that is emulating their big brothers by posting impressive results. An apple never falls far from the tree, so they say. Today I am revisiting the issue of the Sh118 million tax arrears which Kenya Revenue Authority is alleging we owe them. As my friend Murithi Mutiga wrote in his weekly column a few weeks back, the matter needs to be looked at afresh. I am not saying that KRA played a political hand in the matter but for the average K’Ogalo fan the coincidences are just too much. First, Brookside, a company closely associated with the president’s family terminates its sponsorship deal for a club whose patron is Raila Odinga, President Kenyatta’s nemesis. Immediately after that, KRA slaps Gor with the huge tax arrears claim. The taxman’s claim that it was targeting other clubs as well remains hot air because so far we are yet to see another club slapped with such a fine. I think it is time KRA told us how they arrived at the figure and come up with a way of solving this impasse. Of course de-registering Gor can never be part of such proposals. Mine is a simple advice to the Green Army; sit tight, this is a storm we will ride out. Perhaps the most dramatic of the many headwinds that Gor has survived in the past was the order by former president Daniel arap Moi for the club to change its name. Kenya Premier League (KPL) Top 8 defending champions Tusker FC registered a narrow 1-0 win over Gor Mahia in the first leg semifinal clash played on Sunday 25 May at Kinoru Stadium starting 1500 hours local time. From a goalless first half, Tusker FC resumed and immediately went ahead thanks to a 15th second strike from Brian Osumba after the latter latched on a Clifford Alwanga through pass to loop oncoming Jerim Onyango in the Gor Mahia goal. Tusker would have doubled the lead in the 49th minute but Kevin Kimani’s shot hit the side net as Aboud Omar’s corner kick in the 50th minute was cleared by Israel Emuge. An attacking minded Tusker FC won a free kick outside the 18 yard box after Teddy Akumu handled the ball but Kimani’s attempt hit the wall. By the 54th minute, Tusker were still the better side pressing the visitors at the back but were yet to double the lead as Frank Ouna effected the first change of the match, bringing in Shaban Kenga for Eric Ochieng’ at the half hour mark. Tusker’s set piece master Kimani delivered another corner which was headed wide by the goal scorer in the 74th minute. Three minutes later, both teams made substitutions; Tusker pulled out an injured Lloyd Wahome for Luke Ochieng’ as Gor brought on high-rated midfielder and Aspire Academy product Timonah Wanyonyi for a faded Dan Sserunkuma. In the 88th minute, Francis Kimanzi introduced Jesse Were for Clifford Alwanga before Kogalo’s Daniel Onyango came in for David Owino but they could not find the equalizer even with three minutes of added time. Tusker are now one foot in the finals though will need a draw of any kind or rather a win to book their slot while Gor will be looking forward to turn tables with simply a win of any kind in the second leg set for Wednesday 4 June to grace the finals. 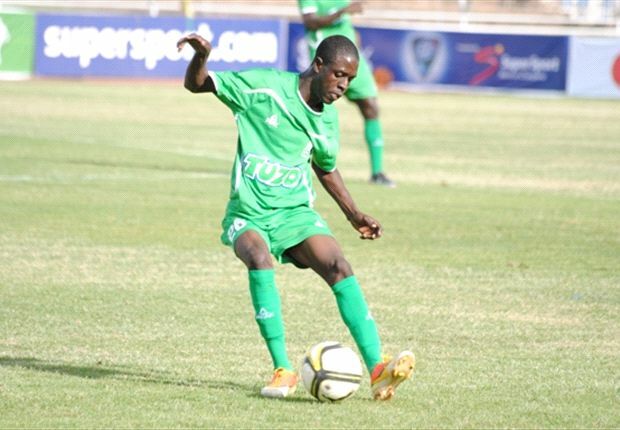 Gor Mahia youngster Angelo Akumu is an elated man after returning from his loan deal with Kenya Premier League (KPL) debutants Top Fry AllStars. Angelo had been sent out on a yearlong loan contract that was recently terminated due to lack of playtime at the Nakuru based side. The move thrilled the former Nairobi Provincial League (NPL) side Tena United attacking midfielder who bowed down to a warm reception he was given. -I am happy to be back. Gor Mahia has always been my favourite home and I am grateful to the whole staff for a warm welcome, all the coaches, players and officials were proud of my comeback and the ball is now in my coat, to work hard and win back the coach’s heart for a place in the team, Angelo told futaa.com in a one on one. 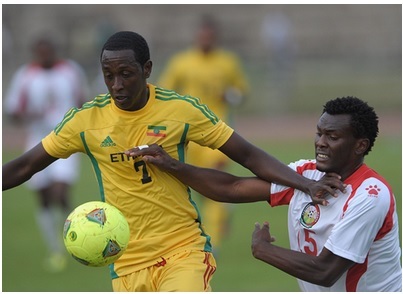 -I am delighted with another chance to rejoin Gor Mahia, the club always in my heart. I give all thanks to God. Angelo scored on his Gor Mahia debut in the Shield Cup match against former top tier side Shabana FC in September 2013 and had another chance in the KPL against Tusker FC the same season. This is the third week he has been training with the KPL defending champions. Head coach Bobby Williamson has lost his mother back at home in Scotland. Williamson was scheduled to travel home to Scotland on Friday (today), May 24, 2014, to visit his ailing mother but the sad news has been conveyed before his departure. This has been confirmed by club Organizing Secretary David Kilo and Williamson will now leave for Scotland tomorrow – Saturday, May24, 2014, according to club website. Kenya Premier League champions Gor Mahia have appointed Frank Ouma to handle the side when they face Tusker in a Kenyan Premier League Top 8 match at Kinoru Stadium, Meru on Sunday. For the first time, Gor Mahia will play without head coach nor his assistant when they battle the brewers’ in the knock-out competition. Head coach Bobby Williamson is expected to travel out of the country on Saturday to attend his mother’s burial while assistant John ‘Bobby’ Ogolla is still admitted in hospital. Williamson got news his ailing mother had died on Friday and has to travel for the burial. Deputy Secretary Ronald Ngala has revealed to Goal that they will not ask for the match to be postponed. “We understand what the rules are in regard to postponement of matches and it does not apply in this situation. We have appointed Frank Ouna to be in charge on Sunday as we wait for two coaches to come back. Gor Mahia players were happy after beating a difficult Chemelil side on a slippery and rain drenched ground in Mumias. Captain Jerim Onyango who was back between the sticks told michezoafrika that his team deserved the win. “Hail to the entire team, it was a deserved win” Jerim said. Imposing centre back Israel Emuge was upbeat as the team opened a lead at the top of the table. “What a victory, five points clear. A good game it was” he said. Rama Salim appears to have found himself again and is rounding back the imperious form that saw him named to the national team in 2012. This after he seemed to loose form on his return from Qatar. His scoring and his brilliant touch are back. It was a very tactical match and very hard especially in the first half. We did well in the 2nd half and I’m happy I helped in the crucial win, Rama said after the match. Rama was named man of the match on Thursday. Rama Salim header in the 58th minute was all that Gor Mahia needed to end Chemelil’s unbeaten run in a Kenyan Premierq League (KPL) match played at the Mumias Sports Complex on Thursday 22 May. At the quarter hour mark the game was settling down well with both teams trying to build down from behind. Eric Ochieng almost opened the scoring for the visitors in the 17th minute but Chemelil custodian Jairus Adira did well to deny him. Innocent Wafula missed a glorious opportunity to give the home side the lead in the 25th minute, receiving a long ball from the right flank and racing into the Gor box but placed his too wide for the on running Jonathan Mwaniki to tap in. Chemelil worked hard in search of the equalizer but Gor Mahia did well to defend their lead despite the rains, match ending 1-0 in favour of the reigning champions. After the match, Gor Mahia is at the helm of the log with 29 points from 13 matches while Chemelil is fourth with 22 points having played the same number of matches. 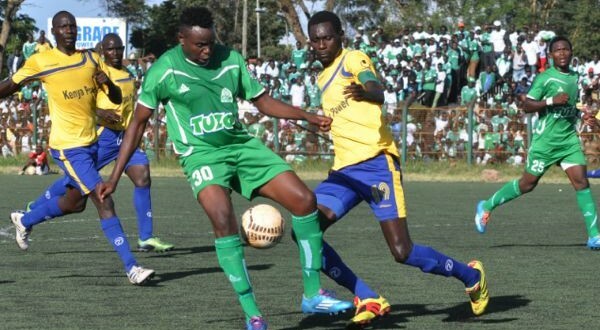 Gor Mahia will take on Chemelil Sugar on Thursday May 22 at Mumias complex. Kickoff time will be 3pm. 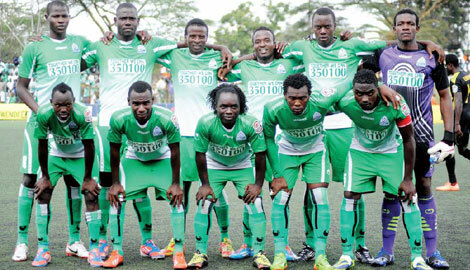 Gor Mahia players have not let the latest distractions cloud their focus. In addition to the due to financial reasons, there are the usual distractions with other teams eyeing Gor Mahia players. The latest being that Simba of Dar es Salaam are eyeing Anthony Akumu and Rama Salim while Kaizer Chiefs of South Africa are eyeing Dan Sserunkuma. Fans will be hoping that the players will keep the focus that has seen them win four matches in a row. And fans will be thankful to mayor Kidero for raising the team’s spirits. The team will be happy to welcome back Kevin Omondi who has been out of the line-up but has since resumed training with the team. Winning this match is crucial as both Tusker and Sofapaka won their midweek matches and are breathing down Kogalo’s neck. And Chemelil who are currently third in the league are no pushovers. The team was due to fly to Kisumu on Thursday morning before departing for Mumias by road.